Soft or Hard? Soft and Hard! 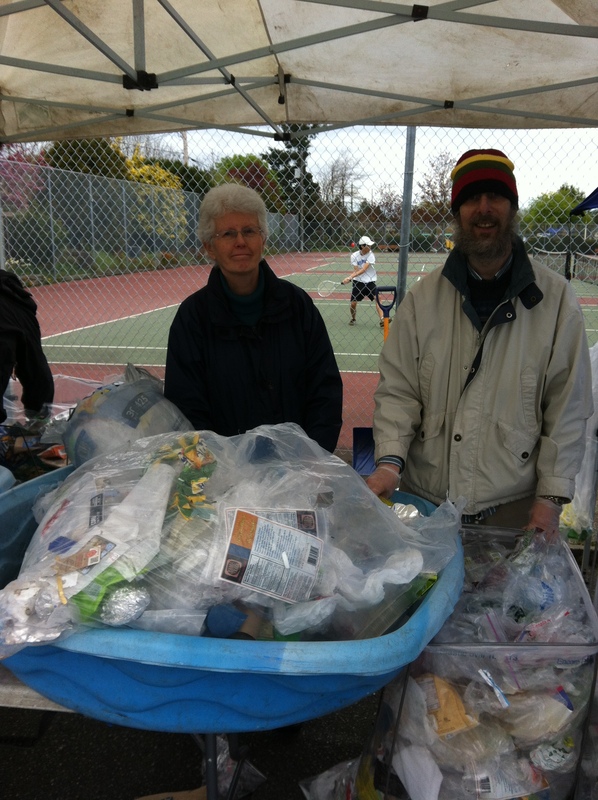 Dave and Marilyn, below, volunteers from the Oak Bay Green Committee helped me sort it into 1) foil wrappers (not to be confused with tin foil) 2) styrofoam 3) hard plastics that dont have the recycling numbers 1-7. David and Marilyn are awesome folks, and said how they never really dreamed of having fun sorting through other people’s trash. We were having a great time. However, they would like to put themselves out of a job, and have the city collect all types of plastic for recycling. I am struck by how vibrant and nice looking all this waste is. So pretty and colorful like candy, Dave agreed in his South London accent (Does it get any better? We too used to live in South London!). “The weird thing,” he said, “Is that the food, the brown dirty stuff is actually breaking down.” Plastic can poison if-and-when it breaks down, not to mention what it does to animals who ingest it. So if your average household refuse looks pretty and nice and colorful that is not great for the Earth. Paradoxically, if it looks brown and smelly, slimy and dirty – that’s a good thing…. Let’s leave the soil rich and fertile, organic and nutrient-rich. Let’s put Dave and Marilyn out of a job and ask our Cities to collect and recycle it all, soft and hard. 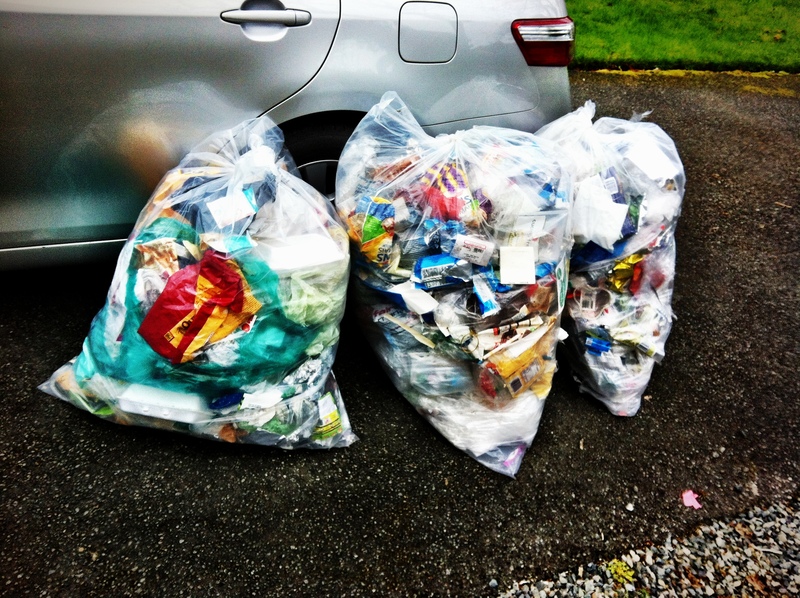 This entry was posted in Soft plastics recycling and tagged oak bay green committee on April 30, 2013 by Gurdeep Stephens.